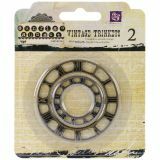 Sunrise Sunset Mechanicals Metal Vintage Trinkets - PRIMA MARKETING-Sunrise Sunset Collection: Metal Vintage Trinkets: Small Clock Face. 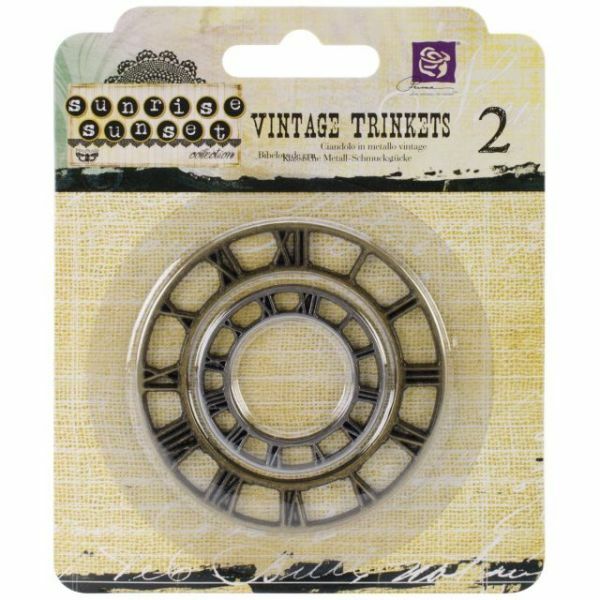 These trinkets have a vintage look to accent a scrapbooking page in a unique way. This 4x6 inch package contains two pieces. Imported.